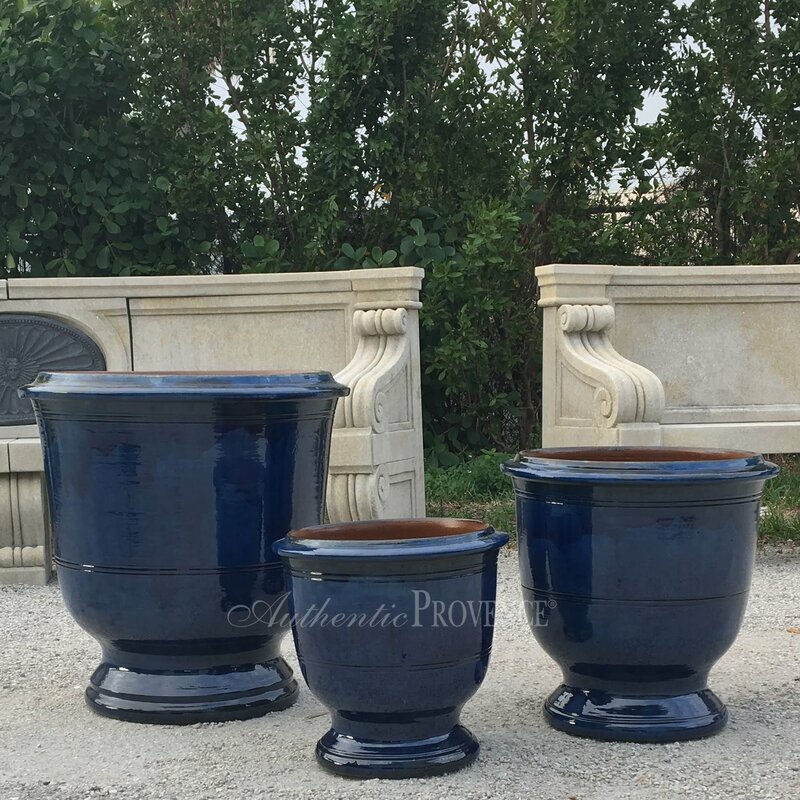 The Anduze garden planter has a fully glazed finish. This cobalt blue terra cotta clay urn is hand made in Provence. Drainage hole is provided, sizes and finishes may vary. These planters are not frost proof. Categories: Garden Planters, Vase d'Anduze. 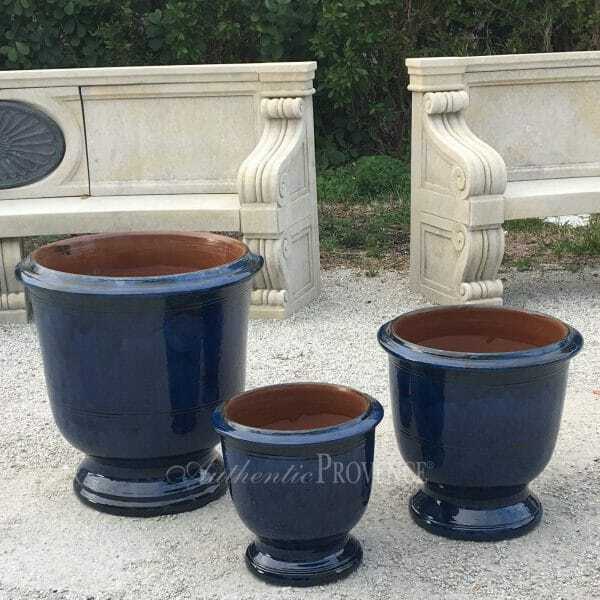 Tags: BLUE, COBALT BLUE, FRANCE, GLAZED COBALT BLUE, PLANTER, TERRA COTTA.